Believe or not Jamaipanese.com turns 6 today! My blog blog just keeps getting more awesome as I enjoy writing and sharing posts related to my interests and life. It is unfortunate that so many blogs are kicking the bucket as some bloggers become inactive, but thankfully Jamaipanese.com evolves with me and in many ways has been maturing as I have matured. 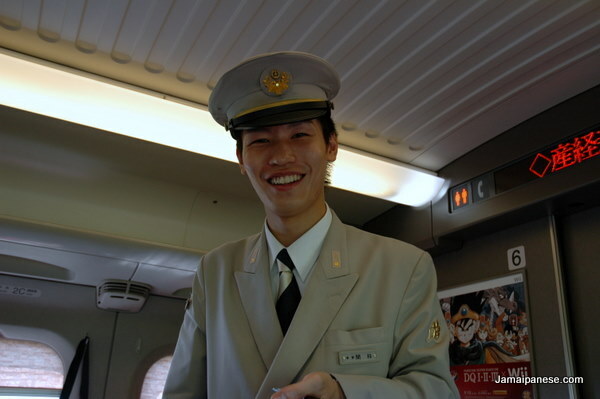 I still look back at some of my early posts from time to time and wonder if that much time has really passed, what happened to that happy-go-lucky kid, one thing is for certain, I’m still crazy about Japan! The last year has been highlighted by two main things, one negative and one very positive; these are the Tohuku Earthquake and my first ever trip to Japan. I’m happy Japan is recovering well from the earthquake, Tsunami and Nuclear disaster. My Japan trip and my experiences have given birth to many posts which you can find here and will continue to do so for quite some time as I try to work out plans for another visit 2 or so years from now! Almost a thousand people “like” Jamaipanese.com on facebook with hundreds more following on twitter @Jamaipanese or subscribed by RSS, email and Youtube. I’m now transfering some of thet feeling of success from dreaming about, planning to and visiting Japan to other aspects of my life such as college and I’ll have more details as things develop. So many instances throughout the year I attracted the wrath of my web host for crashing the shared server Jamaipanese.com was hosted on and taking all the other websites on the server offline. For various reasons there were a couple massive traffic spikes throughout the year such as the March 11 Earthquake in Japan, table flipping Japanese arcade game and Japanese kids on Halloween being quick example of different kinds of posts causing a traffic spike for very different reasons. I decided late last year to upgrade the hosting for my blog to VPS and things have been much better and speedier since and with a tiered upgrade option I can increase the capacity of the server as Jamaipanese.com hopefully continues to grow. Jamaipanese.com was visited by over 300,000 unique visitors over the last year with it’s pages being displayed over half a million times. Firefox is barely holding off Chrome for the browser crown with Internet Explorer a distant third. Anime and photography related posts are quite popular along with posts like 10 Android Apps that made my Japan trip that much easier and Tokyo Game Show 2011 â€“ Highlights, Booth Babes, Cosplay and Showfloor. Japan Snippets – A quick photo or video captured by me while in Japan as well as a short paragraph elaborating on what the photo or video represents and how it relates to me. The first Japan snippet featured Nagoya Castle at night. Practical Japanese – A series I have already started which I will publish a photo and/or video displaying Japanese characters whether Kanji, Katakana, Hiranga or a combination of them. I hope that seeing Japanese being used is a practical everyday sense will help expand the vocabulary of fellow Japanese learners so they may get familiar with seeing and hopefully using simple Japanese that they will most likely encounter. This also will give me a well deserved kick so I can start studying/reviewing Japanese again! 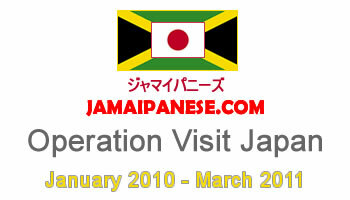 From the Archives – Jamaipanese.com is 6 now. Close to a thousand posts have been published over the years some of which are still quite relevant or useful! Once a month or so I will handpick about 3 of these and link to them in a posts. hopefully new readers can look back at some of the past content on Jamaipanese.com and longtime readers can share my nostalgia. 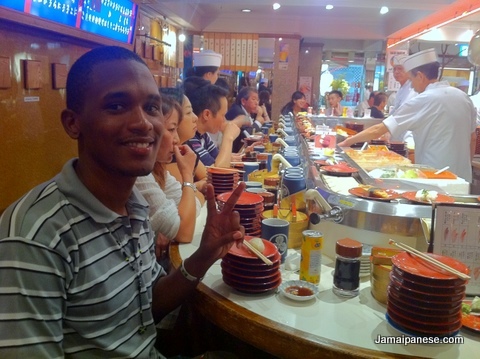 J-Dorama Sundays– Fellow blogger and fan of Japan, Buddy Lindsey is a longtime reader and friend I met through my blog. He is an avid watcher of Japanese dramas and was kind enough to review not one, not two, not three but TWELVE J-Dramas which I’ll be posting once a month here on Jamaipanese.com. Thank you Buddy! Read the first one – Hammer Session and look out for the others throughout the year. Looking forward to a another great year of blogging and I appreciate every reader, every comment, every reshare, every follower and persons I met through my blog. Looking forward to your continued support, meeting new people and the continued growth of my blog. Stay in touch on Twitter @Jamaipanese, Facebook, Youtube, Google+ and while you are at it sign up for a new mailing list I am starting as of today: you stand a chance of winning few goodies if you are on the list as well as getting some insider information. That’s awesome! 6 years is a long time. I started blogging in 2006, but moved to Japan in 2008, so obviously I can’t have a 6 years anniversary yet. you must be enjoying life in Japan! Thanks for following my blog, I will check out yours as well! Congratulations on the big milestone! This makes you one of the grand-daddies of blogging, but don’t let the title fool you. Speaking of servers and scaling, you still seem to have some issues. You don’t happen to be running WordPress, do you? Let me know if you have any questions about optimizing it on VPSes. Happy Birthday… you don’t look a day over… well… that would be telling. Seriously it’s great that you’ve reached the big 6 (ok, it’s not a big number, but in blogging years that’s old!). I like the idea of bringing in new concepts for your blog… how about things you loved in Japan that you didn’t think you would, or vice versa. It’s always nice to hear different experiences, or those things that surprised you. It is nice to do retrospectives… perhaps a “then” and “now” series. Thats a great idea for a series, I’ll put some thought into it and see what i write. Happy 6th and here’s to 6 more! Keep it up! Congrats on turning 6. Not many make this far. Cheers to another 6+ more!